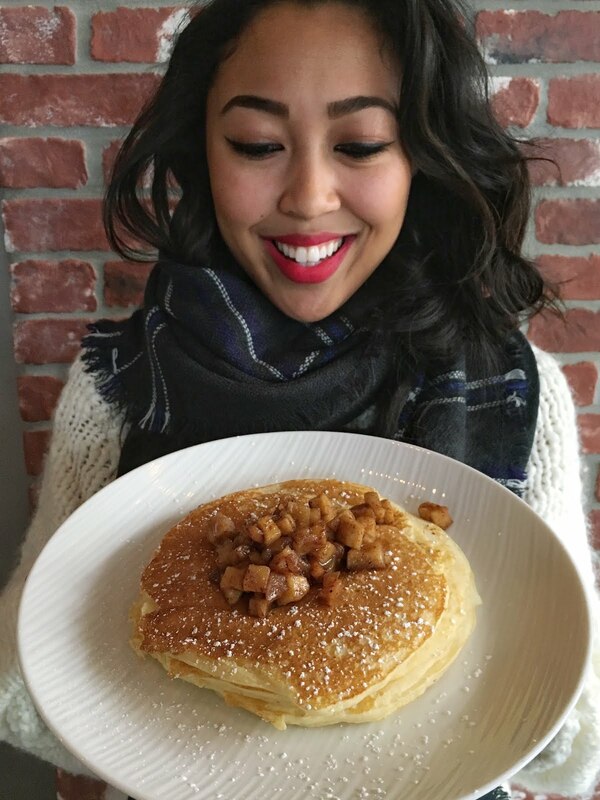 Thank you, Independent Fashion Bloggers for picking pancakeSTACKER's post as one of your "20 best links" for the week of November 25th! What an honor to be featured! It's Thanksgiving here in the U.S. and many of us are looking forward to the Black Friday sales - oh wait, I mean spending time with our families and friends! But it's wonderful (and kind of weird) that so many of the people that influence and support us on a daily basis won't be gathered around our table; they'll be hanging around our web address, retweeting our (sometimes) witty comments, liking our latest post on Facebook, etc. Whether or not you celebrate turkey day, as a blogger it's hard not to be full of gratitude for the resources we share on a regular basis. This week, Tickle Me Chic helps ban the blogging blues, Previously Owned does your holiday gift shopping for you, and Make the World a Prettier Place sums up the reason so many of us are grateful just to be alive (hello? 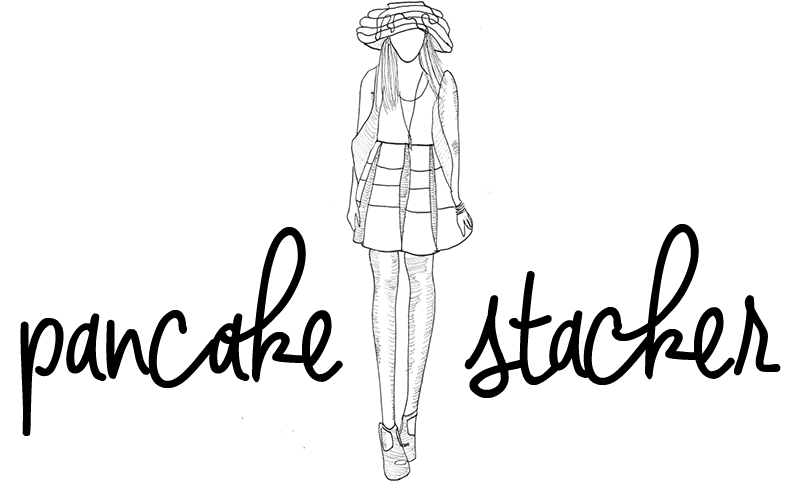 fashion!) with a visual history. Fish Monkey's Writing Stuff Lanvin + H&M: Is there a downside? Independent Fashion Bloggers: Are you addicted to blogging? Positively Bleak Tips on staving off the winter blues - with a bonus compilation of free demos and EPs from alternative rock bands! The Chic Curve Winter coats for everyBODY. No matter what size or shape, there is a fabulous jacket just for you! UPDATE: Two features in one day?? 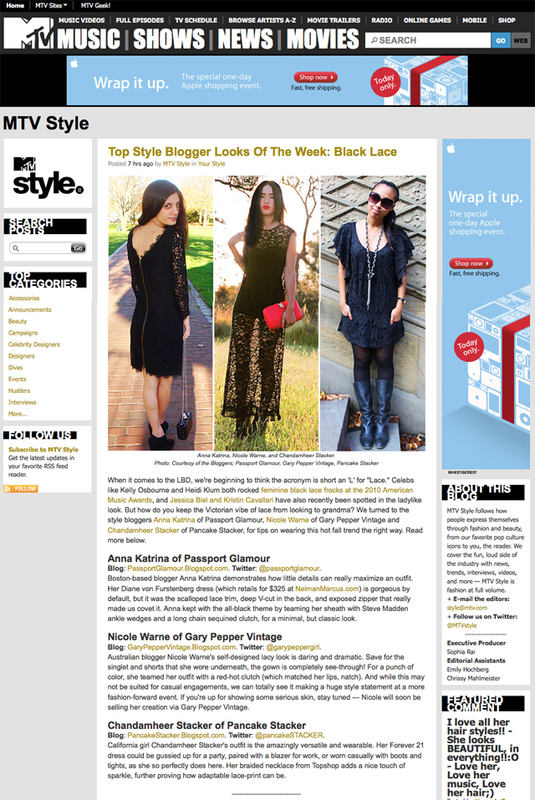 Thank you, MTV Style for including me as one of your "Top Style Blogger Looks of the Week!" Words cannot express how exciting this has all been! To check out what MTV said, head on over here, or to see which outfit post they're talking about, click here. Great post Chandamheer! I just started my blog and I am definitely thankful for the kindess the blogging community has shown me in the last 2 weeks! Well deserved. Congrats and happy thanksgiving! i'll definitely go check out the other links as well! Congrats girly! Hope you have a great Thanksgiving! Congrats! I've no idea how to apply/submit for Links a la Mode, I must take some time to check it out! Hii! found your blog by actually seeing the featured blog posts on IFB! big congrats girl! and esp for MTV Style ;). i really love your blog - and your post on the UCB fashion forum, i really wish I could have gone, but the post made it seem like i was actually there. thanks so much for that :). Love your blog! i'm now a follower <3. Congratulations dear! you deserved it! wow, how fun must it be to be mention in the MTV style? that's awesome! i hope you had/have a great Thanksgiving! enjoy the weekend! fabulous! congrats with the feature hun! <3 thats really heart warming! this is all so exciting!! congrats on both of the features you definitely deserve it! This is some big news! Congratulations! Wow congrats! That is amazing! that is so awesome! congratulations! hope you had a great thanksgiving! congrats on the features - that's awesome darling, and you definitely deserve it! As for where I work - I work at Parliament so seeing MPs is a bit of a daily thing! Wow, congrats on the MTV bit! I've been on Links a la Mode thrice and I love how many fellow fashion bloggers come check out your posts from there. this is soo great, congrats sweetie! BTW, black friday was bit of a bust for me...wah! ohhh, congrats! :) You look so great! very cool...and that is an awesome look, by the way. Congrats on the features! Wow you! Congratulations, you definitely deserve these features! You write interesting pieces and are such a lovely girl, I have to say you've been incredibly friendly in the blogosphere!